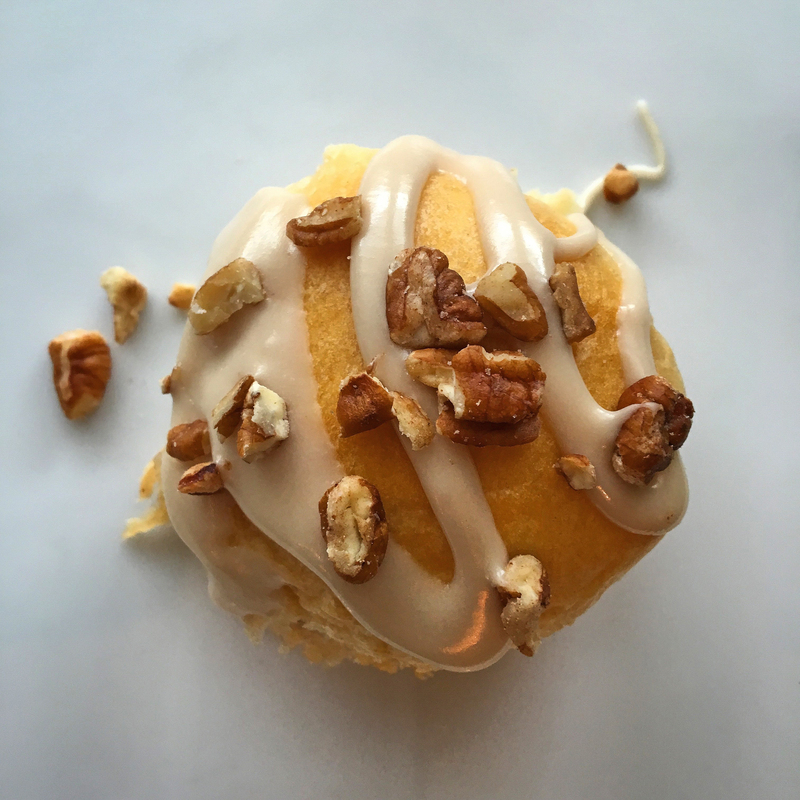 Serve ’em warm with sweet tea and they’ll certainly delight! ♥ When cheese heard it wasn’t invited to the roll-up party it was pretty sad. :*( Next time we’ll toss-in a little shredded Trader Joe’s 4-Cheese blend (a tasty mix we lovingly call stinky cheese) to help liven the roll-up party. ♥ I used to be on a black peppered bacon kick but for this I used Applewood smoked bacon. ♥ If your bacon isn’t super crunchy it may be hard to crumble. I used kitchen sheers to help me cut things into shape. 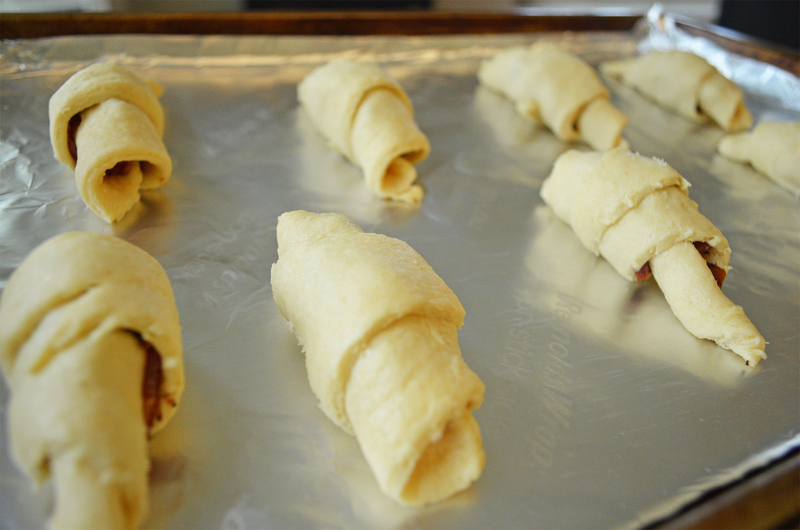 ♥ Dividing 6 pieces of crumbled bacon into 8 equal portions can seem tricky. I spread the bacon crumbles on a round plate, divided them into half, then I halved the halves again and then each half I halved again. The result? A lot of halving plus 8 mouth-watering piles of bacon-y deliciousness that were pretty close in size. Shazam! 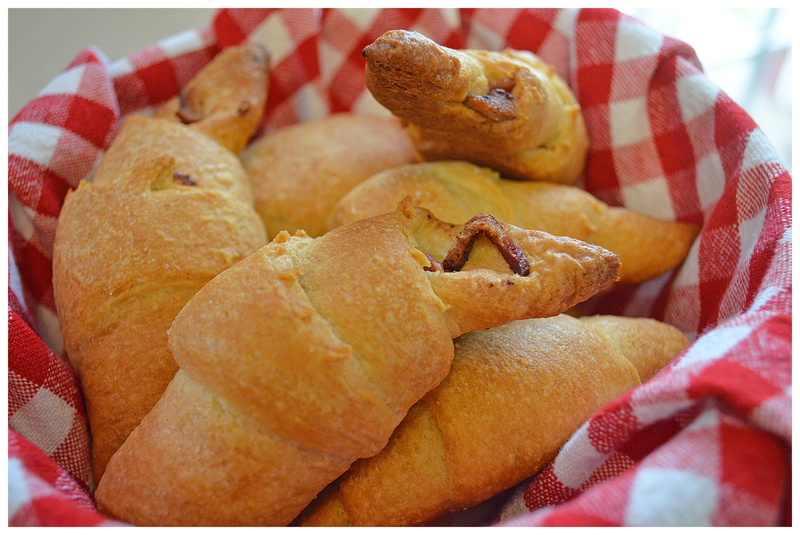 ♥ If you dream in Bacon-Vision then make sure and check my favorite Trader Joe’s Bacon Cheesebread recipe or click the little “bacon” word at right … riiiiight there between avocado and baking soda! Yes! 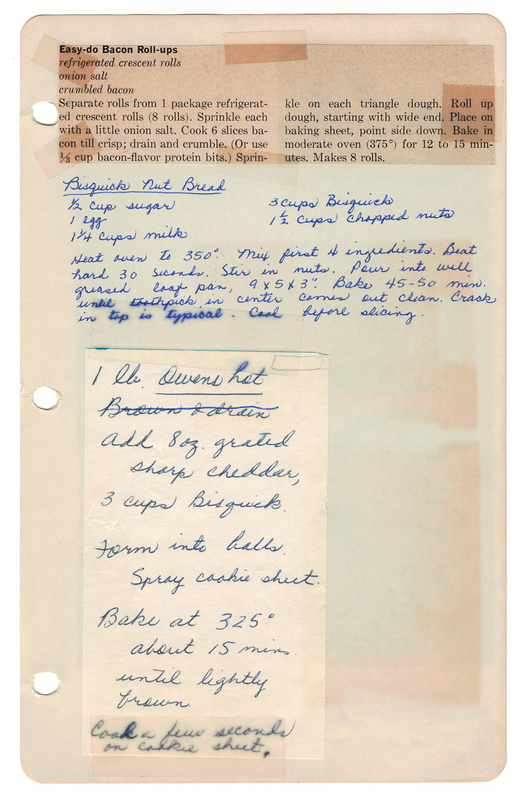 Clicking the “bacon” link will load-up all the recipes here at Betty’s Cook Nook that contain bacon … including my all-time favorite California Potato Salad. The magic of bacon! 1. Cook 6 slices of the bacon until they are crisp. 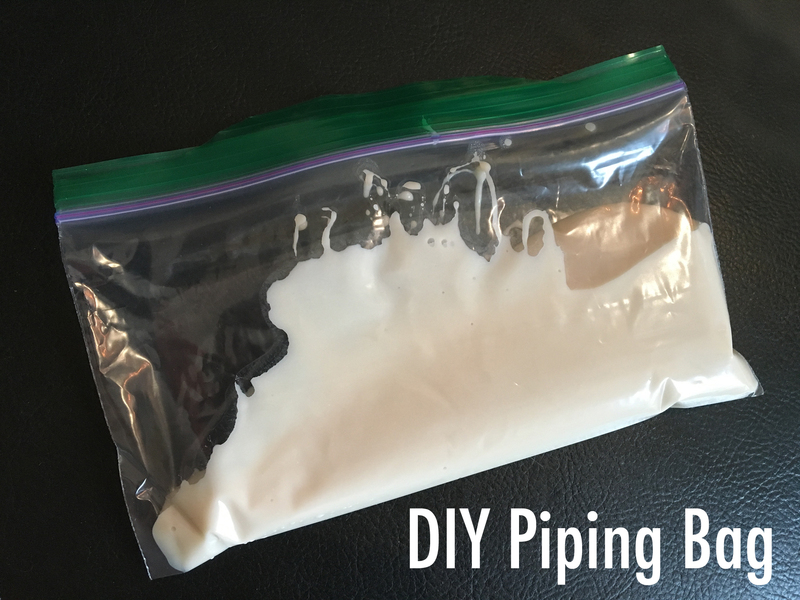 Drain, pat dry (or rest between paper towels) then crumble. 3. 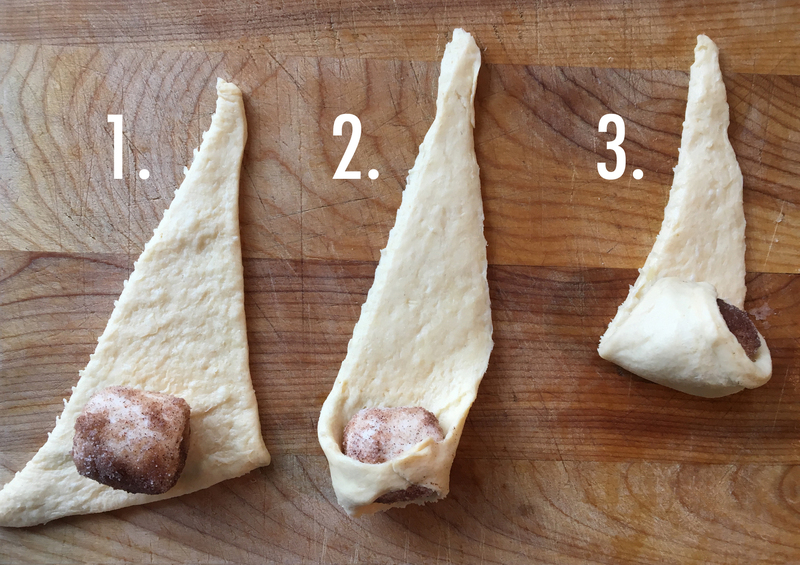 Separate crescent rolls from the package. 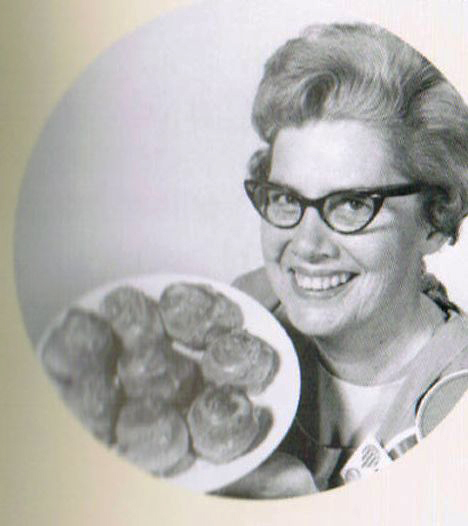 Sprinkle each with a little onion salt. 4. 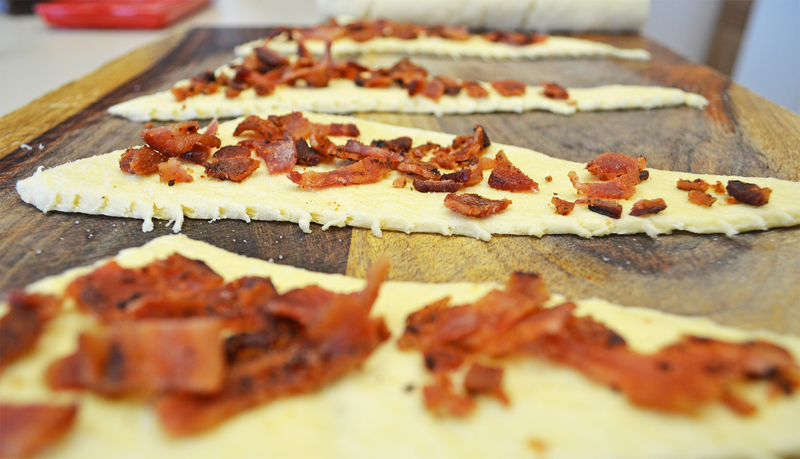 Take ⅛ of your crumbled bacon and sprinkle on each dough triangle. 5. 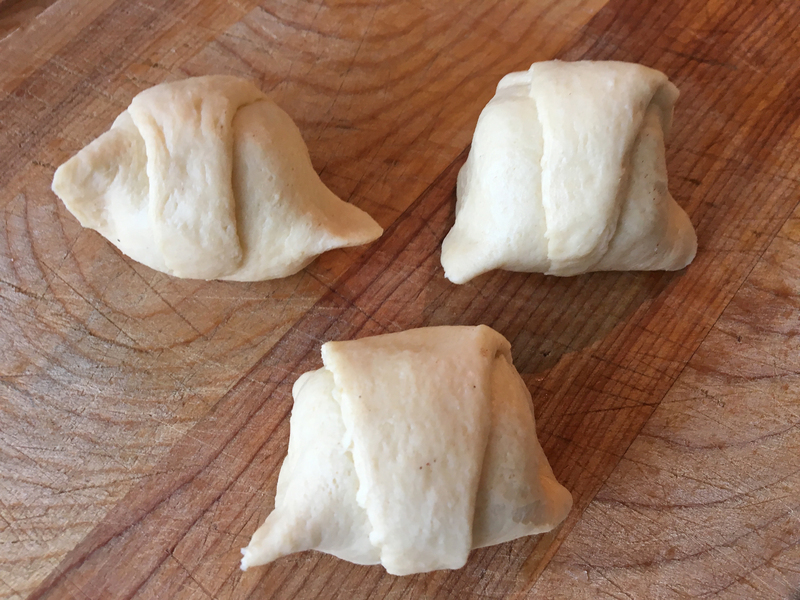 Roll-up the dough starting at the wide end. Place on a baking sheet, point side down. 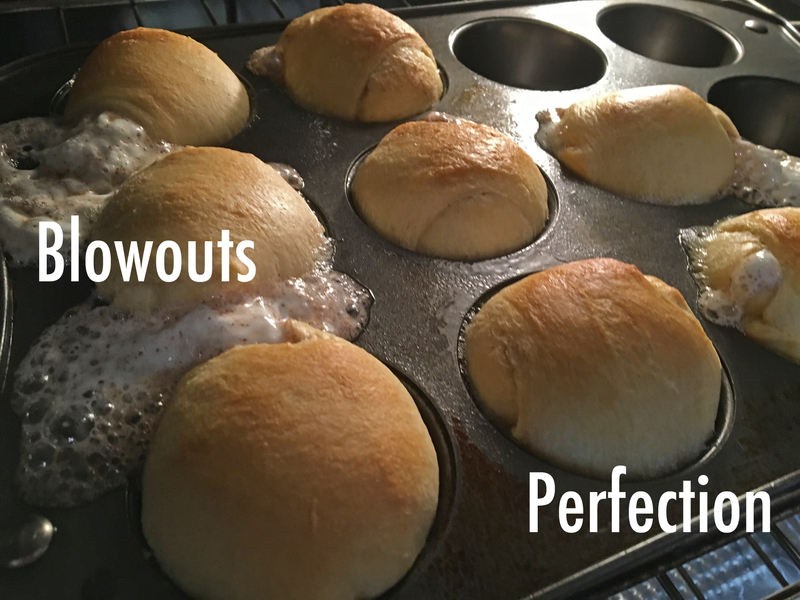 Continue until you’re done with all 8 roll-ups. Yields 8 bacon roll-ups and up to 8 happy people! 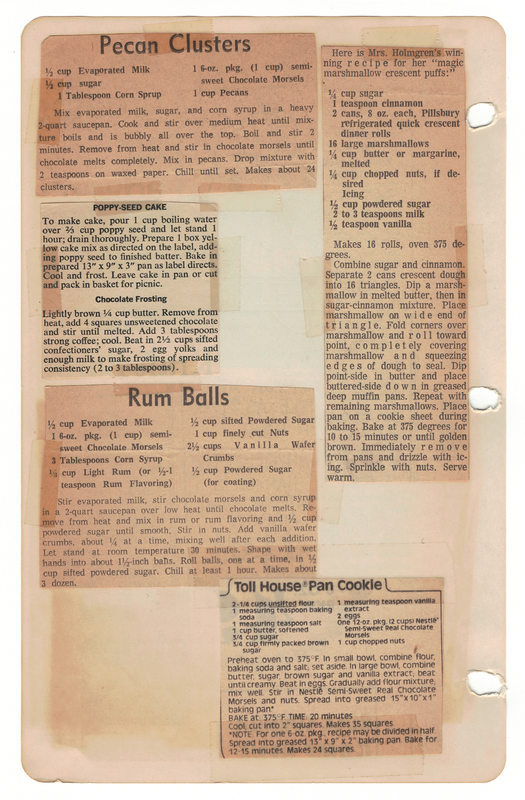 Here’s a scan of Mom’s original Easy-Do Bacon Roll-Ups recipe!